The International Basketball Federation (FIBA) has lifted the ban it recently imposed on Russian national teams competing in its events. The announcement was made at a session of the organization's executive committe in Tokyo on Aug. 9. 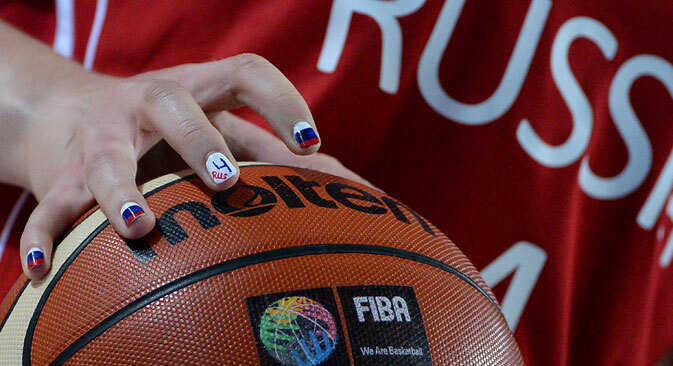 However, the disqualifation of Russian Basketball Federation officials remains in force. FIBA has told the Russian federation to bring its charter and regulations in line with the FIBA charter and regulations and to make its work "transparent" and efficient. The deadline for completing the reforms is April 30, 2016. "The national teams will take part in all FIBA competitions, however the sanctions against [Russian] federation officials remain in force... We are continuing consultations to resolve the current situation," said Russian Deputy Sports Minister Pavel Kolobkov, commenting on the FIBA ruling. This means the Russian national men's team will be able to take part in this year's European championship on Sept. 5-20 in Germany, Latvia, Croatia and France. This tournament will also be used to select teams to take part in the Olympic Games in Rio de Janeiro. In June 2015, the Russian women's team failed to make it into the top five at the European championship and was not selected to compete in the 2016 Olympics. FIBA disqualified the Russian national federation on July 29 over a lack of transparency in its system of governance: Russian basketball has suffered from what essentially amounts to a lack of management for the last two years. Yulia Anikeyeva was elected president of the Russian Basketball Federation on Aug. 2, 2013. In June 2015, following a lawsuit by Anikeyeva's rival, basketball player Svetlana Abrosimova, the court ruled that the 2013 election was unlawful and ordered the federation to hold another vote. The only candidate registered to take part in the vote set for Aug. 25 is former NBA star Andrei Kirilenko, who has recently retired from the sport.